Today, Argentina and Spain operate scientific stations on the island during the austral summer. 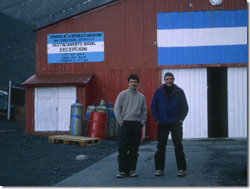 Base Decepción (Argentina) and Gabriel de Castilla Station (Spain) are located on the south-western shore of Port Foster. Science at Deception Island focuses principally upon volcanic monitoring and marine benthic studies. 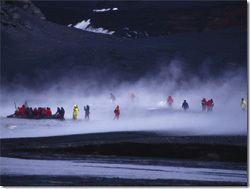 Deception Island is one of the most visited sites in Antarctica by tourists. Tourists land at Whalers Bay (Conservation Strategy available here), Pendulum Cove, Baily Head and Telefon Bay. Further information about these sites, including a Code of Conduct for Visitors, can be accessed here. Deception Island provides the opportunity for visitors to learn about volcanoes, geothermal activity and other aspects of the natural world, as well as Antarctic exploration, whaling and science.